The challenges of thyroid surgery and the unique anatomical challenges are discussed. Advice on picking a thyroid surgeon and second opinions are also discussed by Dr. Keith Forwith, a thyroid surgeon in Louisville, KY.
Thyroid surgery is one of my favorite types to perform. The technical challenges and the clear patient benefits from the operation make this a very satisfying way to utilize my skill set. However, my perspective on thyroid care doesn't come just from my interest in the surgery - both my wife and myself have thyroid nodules. So, I am also a thyroid patient's spouse and a thyroid patient myself! While I haven't needed surgery as yet, I've been on both sides of the doctor patient relationship which give me a unique perspective. When patients ask what would you do if this were you or your wife? I don't have to speculate! I've been in both those situations and I can empathize from my own personal experience. I believe my surgical skills that God blessed me with have prepared me to operate to the highest of standards. I believe my experience as a patient and spouse have prepared me to wisely judge when that operation is necessary. What are the challenges of thyroid surgery? 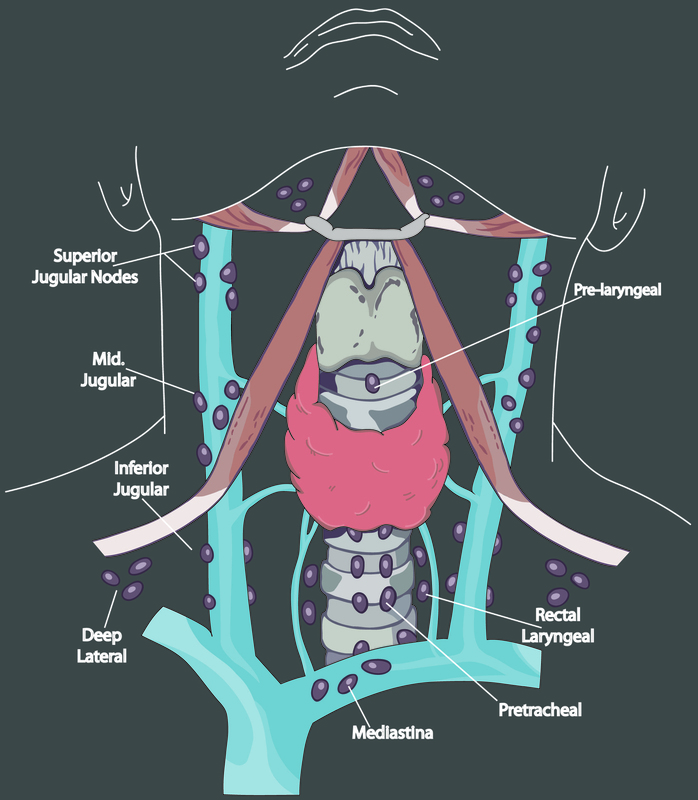 The thyroid gland has some unique anatomic characteristics which make thyroid surgery substantially different from other surgeries. There are two delicate nerves, the superior laryngeal nerve and the recurrent laryngeal nerve, which need to be identified and protected during every thyroid operation. These are small nerves - similar in size to the branches of the facial nerve that are encountered in parotidectomy. These delicate nerves run just underneath the thyroid gland and are important in voice and breathing functions of the larynx. Damage to these nerves - either through invasive cancer or surgery can leave a patient short of breath, hoarse, or even both. 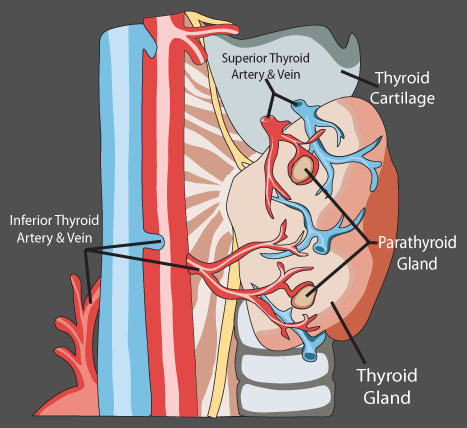 A second challenge in thyroid surgery comes from the small parathyroid glands which control calcium. There are four glands, two on each side. One sided surgery, like in a hemi-thyroidectomy or lobectomy, would not put overall function of these glands at risk - because one side is not disturbed. Hence, no possible damage to the parathyroids on the un-operated side. Can surgery treat thyroid cancer if it has spread? There are over 300 lymph nodes in the neck, most remaining undetected unless they become enlarged by infection or tumor spread. The first and most common pattern of spread of thyroid cancer is into the area around the thyroid that we call the central compartment of the neck. This is the area that contains the parathyroid glands, the laryngeal nerves, and the thoracic duct - all delicate structures that require preservation. Just below the thyroid resides the thymus which typically is hidden behind the sternum (breastbone). Thyroid cancer can and often does get into these areas. As the cancer advances it can spread into more of the neck areas we call the lateral neck. These areas contain important structures such as the carotid artery, jugular veins, nerves that control neck, tongue and shoulder movements. Deep to these areas are nerves that control your diaphragm and arm movements. The anatomy of the neck is more complex than anywhere else in the body - all packed into the narrowest area as well! This was one of the reasons I was so fascinated by head and neck anatomy as a medical student! An early signpost of where my career was headed!